Before 1970, ever since pokeballs were first invented, wars between trainers with different ideologies eventually took the world whole. The strongest masters eventually spread and expanded their beliefs on pokemon culture and formed teams, no team particularly good or evil. Team Inferno, Team Hydro, and eventually, the teams who thought themselves the saviors; Team Solaris and Team Midnight. This was called the Teams War. This all stopped when three child orphans of this war joined a team. Zack, Jack and Ella were fored to join Team Midnight. One of these children, Zack, eventually grew up into what was called a true Pokemon Master. He joined Midnight in the hopes of stopping this war so he could eventually live life in peace with his best friend and his love interest. But even Team Midnight was corrupted. Eventually, Zack had to erase the teams for good. But there were many sacrifices. The ones he dedicated his life to were lost, and to a woman who was revealed to control all teams behind the scenes --- Flarey. Flarey, with the discovery of Mew DNA, saw fit the put the world under her strings to manipulate and gain power of that of a god. With the radical DNA of Mew, she was able to clone the most powerful of pokemon, Mewtwo, and bond its soul and being to be fused with hers to gain a power capable of recreating the pokemon world and turn it into what she called "the Realm." Zack fought Flarey to the death as she wielded a powerful sword, pokemon battling and all. The powers from the psychic-type pokemon bonded to her soul were frightening, and it took all of Zack's being to keep going and push on. Finally, after drifting back to consciousness, and knowing his friends would want him to succeed, he finally defeated Flarey, and she was cast from this world for good. Zack eventually disappeared into the shadows, and all trace of the known teams faded into a dark history. Only the oldest of men who had survived the war could tell the tales and of Zack's heroics and accomplishments. For the longest time, there was peace. The Pokemon League was soon realised and announced to the entire world, and even ten year old children could enter and try out to become Pokemon Champions themselves. It was a time lost to many people. In 1990, Giovanni formed Team Rocket, the widest known criminal syndicate, and with stolen research and data, creates his own failed attempt of Mewtwo at Cinnabar Island. Faraway from the lands of Kanto, what was left of Inferno and Hydro remnants, formed into what was now known as Teams Magma and Aqua, but their battles to expand land and sea were still yet to come. In a remarkable two years, 1999 to 2001, two Pokemon Masters stood up and faced the Team Rocket in pokemon battle. Red from Pallet Town, was the first to say no, storming their hideouts and saving Kanto from Team Rocket's attempt to completely control the world using pokemon, Giovanni was forced to acknowledge the trainer's power greater than his own, and eventually disappeared to train after his defeat. Gold, in the linked region of Johto, first began his quest from New Bark Town, and again, and finally, put a stop to remnants that wished to restore Team Rocket. These two Pokemon Champions disappeared as if from existence. Team Magma and Team Aqua were now at the rise in the region of Hoenn... And there was no decider who would win one or the other. As if appearing from nowhere, a new trainer's tale was just beginning. When Spence left his home in 2012, with his starter Treecko, he befriended a girl named Kikyo, a woman who lead him to join a team almost forgotten about... Team Midnight. In the hopes of finding his childhood friends and following in the footsteps of the legendary Champions, he joins Team Midnight and destroys Team Magma with the help of three other people. Diseh, who had captured Celebi in Ilex Forest, from another team called Team Solaris. Xalia, a girl orphan who befriended the legendary pokemon known as Suicune in Johto. And Ki, a Bellsprout Tower monk, who eventually caught the legendary pokemon Rayquaza. However, when things looked like peace was finally around the corner... Team Aqua, who Ki had made a deal with, betrayed all sides. Spence, Diseh, Xalia and Ki were orchestrated to defeat Magma, finish Maxie, and destroy their base --- all for their own selfish purposes. It would seem that Team Magma were the only ones able to hold the organization back with the deterrence of Groudon, whose existence and whereabouts was erased thanks to their plans --- or another's --- Archie was now soon able to control Kyogre and dominate the world in his ideal image... the pokemon world drowned in sea. It was after their folly was realised that Diseh, Team Solaris leader, found out the masterminds behind it all... Team Psyche. Spence, who had lost his old friends and town, and blamed himself for every thing that had happened, finds a confused Mewtwo, with memory of the destruction caused to his town completely blank. Knowing in his heart that Mewtwo, a pokemon no matter how born was not to blame, he instead invited the Mewtwo to join him in a renewed light. The true blame, almost too hard to bear, Ki, after capturing the legendary pokemon who could've saved them all, proposed Xalia to runaway with him. However, if the chance called for it, he would put a stop to Team Aqua himself. Spence, Diseh, and an informant who knew the whereabouts of this new existing Team Psyche, met up with Ki and Xalia to try and make them reconsider. However, their minds were made up and the group separated after. In 2013, Spence and Diseh were lead into a trap, as well as Ki and Xalia. With Team Solaris disbanded with its leader now gone, and with Team Midnight also suddenly gone without any trace... All were thought to be lost. In 2018, Archie obtains the blue orb, and begins his reign of the Pokemon World. However, a mysterious member of this new Psyche organization kills him. By then, Aqua's army had grown enough for its members to reside in all regions. Aqua, renamed Psyche, in garbs of purple and gold, start to rage war all around. By 2022, Kanto, Johto and Hoenn were completely taken over by the new world power, government and organization called Psyche. Legendary pokemon were captured and cloned all over the regions, bringing about total extinction of most pokemon species not strong enough, unnatural destructive weather, and an unbalanced world of chaos. The Psyche Government being cruel, people as well as pokemon suffered, and life as everybody knew for what it once was changed. As Psyche currently wages war on both Sinnoh and Unova, the Psyche Building, once known as Silph Co. in Saffron City twenty years ago, stands tall, watching everything until the end of days. In the current year 2044, an older man who journeyed the regions comes back - Spence, eyes set on Psyche and rebuilding the team he joined and lost long ago --- Team Midnight. Spence travelled back to Kanto, Saffron City. There, he encountered Outlaw Alex Hooke and Ex-Psyche Silas Defena. They entered the underground, and escaped via the tunnel that led them to Lavender City. They were safe, for now. That was until Bill, searching for Spence, his girlfriend and a way to defeat Psyche, and Wolf and Root, a bounty hunter whose sister had been kidnapped by Psyche. To top it off, also a previous member of Psyche, was Trevor. Along with Wolf, they were both ordered to find and kill Spence. After a struggle at the Pokemon Tower, they all went back to Sarah's, a long time friend of Spence who was the daughter of Tori, Diseh's girlfriend. She thought of Diseh as a father, even though they weren't biologically related. Sarah tried the best she could to tend to their wounds while Spence revealed himself to them as the one who wished to rise up against Psyche; the Midnight leader. They all joined Spence and also wished to rebuild Team Midnight. Sarah joined as well as Spence reluctantly agreed, and they travelled to Fuchsia City to traverse the Kanto region safely. However, legendary clones were waiting up ahead, bringing destruction the city. Spence, along with his rebels, fought and held them off, just before fighting a Regigagas who was summoned by the clones they were fighting. Jimmy, who was a Team Rocket member, took them in as they rested and recovered from the previous battle. Jimmy joined them when he returned home to find that his brothers were killed and Spence agreed, even though some of the others were weary of his intentions, Alex more so. Trevor revealed to Spence had that had been contacted and ordered by one of the apparent Psyche Elites, and warned him of the threat she possessed. When they found themselves in Celadon City, they separated to join a series of competitions in order to win Eevee as a reward. The festival was organised by Team Rocket, Jimmys old group. They eventually won all the events and went to the old ruins of the Game Corner to claim their prize. That's when they were ambushed by Axel, a Team Rocket member and Jimmy's old friend, but Team Rocket had betrayed him and let him believe Jimmy was not one of the group he was meant to attack. Axel left the group unharmed as Spence and the others confronted Team Rocket. However, Axel bumped into the Psyche Elite Trevor warned them about and he disappeared. After defeating Team Rocket and gaining their respect as pokemon trainers, they found their Eevee and returned to the surface, however, Psyche Elite Cathy was waiting for them and attacked them. Spence found out how to open a gate into the world she had pulled Trevor and Axel inside, and cut himself open a doorway. Within the fake Distortion World made by the bond Cathy had with Ginatina, Spence found Trevor, Axel, and eventually Wolf, and battled with Cathy inside her own personal world. They eventually won, but only after revealing a whole lot of hidden truths to Spence. This was interrupted when the four were thrown out of the dimension thanks to a fake Ginatina. After the battle, another Psyche Elite confronted them. After telling Spence to see his old "friends" at Cerulean City, he released Gina who was Bill's girlfriend and they were finally reunited. Cathy had died in Spences arm. While Trevor found out some more things about himself, Spence and the others trained in Fuchsia City expecting another battle. Gina joined Spence's cause, along with Axel who's main join was to protect Jimmy, and they all took the train to their next destination. After meeting the previous Champion of Unova, Iris, they were confronted by three legendary pokemon only Spence could possibly put a link to. Suicune, Celebi and Rayquaza. Axel had been controlled by one of the Psyche members and brought Jimmy to the Cerulean Cave in order to ambush the others. After their battle, Spence and the others found a pillar of ice that encased a slumbering Mewtwo, and the three of the Psyche Elites who controlled the Psyche government from behind the scenes. They were the clones of Ki, Diseh and Xalia. They were extremely powerful, and as Spence attacked, Mewtwo awakened for an instant before the whole party blacked out. Held captive within the Psyche Building, Trevor, Wolf, along with another unknown member of the rebels, were cloned just as Ki, Diseh and Xalia were long ago. The others other injected with Mewtwo cells in the hopes of using them as clone soldiers. However, Ki betrayed Diseh and hoped that the arrival of a certain man after Mewtwo's destruction, would wipe out Diseh along with Spence's team. However, Diseh caught on and worked together with Spence and released him before this happened. Atop of the Psyche Building, Spence and the rebels fought the mysterious man through a series of tough battles, but eventually, it was Spence with the help of everyone counting on him that decided the man's fate. The man seemed familiar to Spence, but he only realised after the final attack. Meanwhile, Diseh and Xalia, who had stolen the clones from Diseh, crossed pathes. Axel and Jimmy, who were leaving, bumping into them and it was in their best interest to help Diseh in order to survive. Eventually, they defeated Xalia, however she managed to get away. The pillar she imprisoned Mewtwo inside weakened and shattered. Mewtwo had finally reawakened. Alex and Sarah's father, Professor Sid, who had helped clone most of the Psyche Elites and injected the soldiers with the Mewtwo cells, helped them escaped using the airship, Invincible. However, Mewtwo had followed them and the master who had originally created the clones, Kikyo, revealed herself. She used Mewtwo to show Spence how pathetic humanity was and Sarah was the victim in the furious attack Mewtwo unleashed. Recovering from the attack and Sarah's loss, Spence revealed to the party that the Team Midnight he knew was a figure of his imagination and revealed that he was in fact a clone probably created by Kikyo as well. However, he still wished to rebuild Team Midnight and try and save to pokemon world because that was want Sarah would have wanted. "It was when we were captured that Diseh's clone brought me to Mewtwo, and then, Zack appeared, the man we had fought who was trying to destroy Mewtwo, and then, her... they all told and revealed everything to me. A lot of it didn’t make any sense at the time until Kikyo appeared and started controlling Mewtwo. 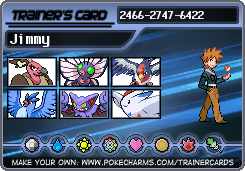 Ki, who had won the war in Sinnoh and Unova six years ago, wanted to change the world by any means necessary using the Psyche clones, Diseh wanted to rebuild Team Solaris, and with a vanished Kikyo and Mewtwo awaiting them-- Spence finally rebuilds Team Midnight, taking control of both Kanto and Johto regions. Preparing for a war between all regions, wherever the future held. In Blackthorn City, Spence built his Team Midnight HQ. Ki was the first, who tore the world apart and killed Archie before recruiting Aqua to be Psyche soldiers themselves, soon forming the government of Psyche. Ki, Xalia and Diseh were created when their original bodies were recovered and led the Psyche Government in the shadows. They were the first of the known human clones of today’s Psyche Government. Ki, Diseh and Xalia were created by Kikyo who founded Psyche after the Teams War in the 1970's. - Underground trains and rails flow through most towns and cities throughout the regions Kanto, Johto and Hoenn. - Join and have fun!! And if you have any questions, feel free to PM me! "Before I had met them, there were two others from my hometown... we all had the dream to become Pokemon Champion... Shiny and Chayse. They had left before I did, and after I had caught my first pokemon, Treecko, I was wrapped up in an evil plot that, well, all that I was aware of at the time... someone was controlling and abusing the wills of pokemon. I wanted to put a stop to this. That’s when I met Kikyo, she was apparently a member of the Team Midnight I once knew and I later joined to help them put a stop to Team Magma. At the time, we thought for sure they were the ones behind it. Kikyo appeared time after time to lend me a hand and I eventually found Diseh and Ki captured by Magma and rescued them. Together, we encountered Maxie and destroyed their first base in Hoenn. Maxie had gotten away shortly after. Kikyo disappeared after that. Ki, Diseh, and I stayed in contact, and Ki found a lead to their next whereabouts. That’s when I met Xalia, an orphan, and she was with us ever since. Ki had joined Team Aqua behind our backs. He wanted to take revenge of the monks and his elder that was killed thanks to Magma. Diseh wasn’t happy about it, but I trusted Ki so we left with Archie and his team to Team Magma’s last base. Things started to get hairy inside the base, so I told Ki and Xalia to go. I still needed to find Shiny and Chayse, and apparently, Maxie knew something I didn’t. I battled with him, and I won, but the volcano erupted soon after and I was sure I was going to die in there. I found myself washed up ashore a beach, and the others eventually found me there. Diseh, having revealed himself working with Team Solaris, apparently another team that had ties to my own, opened up to me and suggested Team Aqua was using us to destroy Team Magma, and for a reason unknown to us. It had haunted me, since Maxie was so tight lipped about everything up until his demise. The pokemon Magma had weren’t controlled or abused as Kikyo and Midnight had mentioned. We all confronted Archie, the Aqua leader, who revealed he was using us and it was all thanks to their biggest contributor that we were all played for fools. Thanks to us taking Magma out of the picture, the only ones who knew the whereabouts of Groudon, Team Aqua could take the world by storm using Kyogre and they wouldn’t be able to be stopped. Our group separated after that. I still felt like I had to take all the blame, because it was me who killed Maxie in the end. Xalia wandered around, having nowhere to go. Ki and Diseh were the ones who never gave up. When I was searching for answers, Ki returned to his home with the monks and together they went and sought out Rayquaza at the Sky Pillar in Hoenn, the only pokemon able to stop Groudon and Kyogre if they were ever to reawaken. Diseh, along with Tori, with the help of Team Solaris members, found out who the masterminds of the plot really was. This was the first time I ever heard the name... Psyche. It was this time that I went out searching again for my friends, Shiny and Chayse, but when I went back to Team Midnight, I couldn’t find them, Kikyo or Team Midnight. It was as if they had simply disappeared... I was lost and confused. I went back to my hometown, hoping my friends were there. And that’s when I saw it. My town was completely destroyed. And it was by none other than Mewtwo. I confronted Mewtwo. Mewtwo had destroyed everything I held dear. My mother and father, my friends... at least, I thought Mewtwo did. But he didn’t. He was controlled by another. Back then, I thought I heard Kikyo’s voice once more. I thought I was imagining things... I asked Mewtwo for help and went back and joined forces with Diseh and his Celebi. Xalia was still waiting for Ki to return. We summarised who was really controlling the pokemon to begin with, and it had to be Psyche. I finally found Chayse. Apparently, Shiny was killed by Psyche and wanted to join us for revenge. Ki returned with Rayquaza, but he had other ideas. He wanted to wait it out until Archie made a move, then strike. But Diseh and I thought it was too risky. Chayse apparently knew the whereabouts of where Psyche was located, so we wanted to confront them ourselves and put a stop to all this. I challenged Ki to a pokemon battle. I didn’t want us to separate again. They were my friends, and Xalia fell in love with Ki, she would’ve followed right behind him. The winner would decide. But I lost that battle. So, I had to watch and say nothing as Ki and Xalia walked out of my life forever. I never saw Shiny and Chayse again. I stopped believing in Team Midnight when I needed them the most and I questioned everything that I was including the pokemon I had raised up until that point. I abandoned Mewtwo, and all the pokemon who had trusted me abandoned me in return. I left again for Sinnoh, not because I wanted to find Psyche, but because I wanted to runaway. Isolating myself from the world, but I couldn’t escape from pokemon. I still couldn’t forgive and forget, but I found myself becoming a pokemon trainer again. I began training. After a few years, I heard about the pokemon war and that Psyche had revealed themselves. After that, I eventually joined Red in that battle. When I met Sarah, after Tori died, well, that’s when I knew what I finally wanted to do. Sarah believed in me, just as I once believed in Team Midnight. So, I wanted to rebuild Team Midnight, the one I joined long ago." "Before I journeyed to Unova, a long time ago, a successfully caught and captured a stray Articuno that had flown all the way into the Sinnoh region. I think it was trying to find a place to live and Sinnoh’s mountaintops suited the ice-type very well. It was a realisation of nature and instinct, even from a clone, as to why I tried to find hope in them in the first place... It was a tough and gruelling battle, and I almost died trying to capture it by myself... However, I had to eventually release it. Even after years of fighting, and pulling my pokemon through countless battles and nurturing them to health... Articuno never obeyed me, and it got to a point in time where I had to let it go and simply give up. It was one of my worse moments... Although I had raised and evolved my own Dragonite, an accomplishment in itself, I couldn't hope to raise that cloned Articuno... It would sometimes glare at me, like staring straight through me... I-- I don't care to admit, but I think it knew... I had abandoned my own pokemon and friend before I left when times got too hard for me. Mewtwo... Even though it was a clone, and I was young and stupid... I did know, however, that deep down Mewtwo had feelings of its own, that it had its own soul and its own heart like any other pokemon... but I ignored my own feelings. I know, generally legendary pokemon are hard to control and tame, but I... I don't know. Maybe it was just me. Maybe I still held a kind of hatred for them, and that I couldn't fully accept Articuno in my hateful heart for what it was... It was during my time in Midnight that Mewtwo DID destroy my home, I suppose..."
"Ki, Diseh, Xalia... I'm going to say this to you once again. I'm sorry for everything... I couldn't save you and now your clones of Psyche. I heard everything thanks to Mewtwo.... Axel waited for the right moment to try and kill you himself, but he failed... He doesn't have the right to punish you... That's my job... my sins and my burden to bare!" When Xalia dove into my head and began to control my actions, my memories of who I was before and the actions Psyche had done up until now started to return to me... I also found out everything about me was fake, just like the illusions Zoroark and I made together. I was sent to the battlefield with Zoroark, and after I was shot, I was almost left for dead. The person who saved me, Red... was in fact, a clone. A group of individuals who Red was originally after had brainwashed him, and they were fighting against us. He was someone I was ordered to kill before I was injured and left almost unresponsive on the battlefield-- I was sixteen years old then. I was one of the only clones who could grow older. I was born without memories as a clone four years before. I appeared to be the age of twelve. I had spent four long years helping Psyche and bringing ruin to the world from the shadows. Diseh was almost like my best friend. Red, however, was almost similar in creation as I was, like me. That's why I was one of the only-- actually... the only monster... that could kill him. In my incoherent state, I may not have intended to at that point, I didn’t know where I was or what I was doing there in the first place... but he did die trying to save me. Before Red died, he unknowingly sent me back to the Kanto region. My memories of Psyche were completely gone. I changed into a completely different person. Wondering the streets, I did everything I could to survive. I was only thinking and living for myself. Zoroark and I stole and robbed even from the innocent at one point. It was almost too easy thanks to our abilities, but I felt a sense of guilt. Is this what Red would’ve wanted for me? I think during this time Psyche found out I was still alive, but left me in peace. I think they had other plans for me. Diseh was a frequent at the Rocket festivals in Celadon City. It would’ve been easy for him to pass along information to Rocket and consider me as an upstanding member for their underground crime syndicate. In absolute secret, of course. So, it was in Celadon City a young Scarlet and the other Rockets found me. I joined mainly to survive, just as Red told me. So, I stole and used my powers to help them. Still, I didn’t have a home to call my own. That’s when Isaac approached me and invited me to stay at their home in Fuchsia City. I had nowhere else to go, so I didn’t refuse. When I met you and the others, even though I was a bit weird and looked like a stray dog, you accepted me and I grew up with all of you. As thanks, I trained you a bit in pokemon battling. I think I took a lot of pride in that, maybe more than I should have, but you were a natural anyway. You asked me once why I didn’t have another pokemon other than Zoroark. Well, it’s because I’m incapable of training another pokemon. I didn’t know why, but that’s just how I was created. I started to genuinely think of you guys as family. I came to respect you all as my own brothers. I wasn’t working for Team Rocket because I was thinking of myself. I was doing it because I thought it was helping you guys, I thought that was what you wanted me to do. The current leader, when Isaac resigned, came and took me away. He made me follow mission after mission, travelling across different regions, avoiding Psyche and stealing as many pokemon as I could for their cause. I never saw any of you again. But because of you, I had changed. Maybe it’s just written into my genetic code that I’m so easily influenced... but Red’s words rang true, and I thought, deep down, that what he had said about Spence and his Team Midnight being the savour... was for real. I started to believe and have hope for the future, because of you, Jimmy. ... I never cared to admit it, but back in the days I worked for Rocket, I met a lot of people... I actually met Bill and Gina, as young children, around the same age as you would have been. They were training with pokemon. It was a risk, but they had been through a lot and I approached them during a mission. At this point, I was stealing pokemon who were being abused. These kids genuinely cared about pokemon. So, I told them about Spence and everything Red had told me. It gave them a sense of hope, too, I suppose. I was happy to do that for them. Knowing what I know now though, I feel a heavy sense of guilt and blame that they’re here at all. I feel responsible they’re here and it haunts me they’re risking their lives for Spence’s cause. From the get go I told everyone I never felt guilty about what I’ve done and nothing interested me unless it involved my brothers. But that was a lie. Wolf tracked me down a couple of times, my bounty was a few thousand credits, so it was understandable... We had a sort of rivalry between each other, but he never was able to catch me once. I never had a problem with Wolf. I always thought there was something wrong with him, though... Although I was on the run from him, I don't think Zoroark and I have had so much fun... During that time, I also battled the kid Silas's goons killed. I missed you and he reminded me of you a bit. He was an odd kid, but he had a talent for become a great pokemon trainer... Even after all of these new experiences... nothing could prepare me for what was to come..........."
Axel took a deep breath, looking to his little brother. Jimmy was still the same... unresponsive. Axel looked away, continuing to tell Jimmy the whole truth. "When I learnt about the incident at Fuchsia City, I was originally told from Rocket that all of the brothers, including you, had died... Of course, since Scarlet seemed to like me, she was told the same thing as well. I got no respect from any other member there, but her. I still didnt know the truth back then, but as I said, I understood everything from when Xalia entered my mind.......... The clones appearing out of nowhere and attacking Fuchsia City? That was a cover up--- it was to murder my new family. I wasn't living with you or them anymore, Psyche were worried Rocket knew I was a clone so they needed to cover their tracks. Plus, Psyche was testing their clones against Spences rebuild of Team Midnight... They could do everything in one possible location... Test, experiment, and destroy........."
Plans for the future: Having abandoned Rocket after they betrayed him and Jimmy, his goals are uncertain. Other physical features: Scars on his arms and hands. Clothing style:	Worn blue jeans covering old black boots, grey sleeveless shirt, a light, black hooded jacket fit tightly to him and a belt around his waist to fit a knife sheathe on one side. A small holster to fit his seldom used pistol compliments the other. He wears black gloves to cover the scars on his hands. Speech style: Suggestive. If Alex has an idea or an opinion, it will be known. General demeanour: Arrogant. A bit of a sociopath. Alex will do things his way, or not at all. How he/she sees himself: A man who can get any job done. The best at what he does. Best qualities: Doesn't know how to quit. Is excellent at talking himself out of a jam. Skilled at hand-to-hand combat. Is a master at picking locks. He under estimates his own wit. Worst qualities: Narcissism, seemingly guiltless, won't fully think out a situation before running into it, thinks he's unstoppable, chronic insomnia. Childhood history: Alex never knew his father. As a young child, his mother became very sick from an idiopathic illness. He spent most of his time taking care of her up until the fateful day she passed. He ran away to the city. Being only 12, a future for an orphan in the big city seemed futile, but he couldn't quit. Alex was going to find his father and finally have a family again. In 2035, Alex arrived in Saffron City, hoping to find the powerful company, Psyche, that his enigmatic father was a part of. Alex spent years getting by with stealing and fighting for he needed and hardening himself to what the world outside his small hometown actually was. Eventually he met up with a girl named Liv. The two quickly took a liking to each other and became inseparable. However, the older they got, the colder they became. Stealing and fighting for survival eventually turned into their usual fun and without structure, they quickly became lost in a mass of debauchery. Alex was never able to find his father, but he hasn't given up the thought. Recent history: Years passed. Alex and Liv learned the necessary aspects to being well known names in the underbelly. Since pokemon, pokeballs and medicines are so scarce, the two regularly sell them on the black market for outrageous prices. Buyers are frequent, as not many people have the guts to steal from Psyche. When a shipment came in around six months ago, Alex found himself liking one of the Poochyena being sold off of the carrier. He nonchalantly pocketed its pokeball and keeps it by his side in secret. His Mightyena now takes part in weekly underground battles for the highest stakes. Having nothing to live for but each other, Alex and Liv now spend their days living on the edge. Those who run into the duo usually regret it. General demeanour: Lucia takes her job very seriously and won't quit until a mission is successfully fulfilled. How he/she sees himself: The savior of the Johto region and a "One Woman Army"
Best qualities: Extremely responsible, a strategic thinker and a well practiced with a sword. Worst qualities: Always the first one to run to the front lines, she puts her position above all else and judges a person's worth by their skills in combat. Childhood history: Lucia was first aware of Psyche's existance 20 years ago when they invaded Azalea in search of the fabled Lapras. Her father, amongst others, banded together and formed a militia in order to protect the endangered pokemon in Union Cave. As it was his responsibility to lead, he taught Lucia the ways of swordplay in hopes that after his time she too would rise to the ocassion. As the militia grew so did the amount of invading soldiers. It soon adopted the name "Steel Battalion". It wasn't long before Lucia was recuited at the age of 15. Her prowess, instincts and talents with guerilla warfare lead them to victory for many years until her father's passing.Taking charge at the age of 20, her life has become completely overtaken with her duties. Recent history: To her fortune, the past few years have been kind to Azalea. Psyche soldiers have stopped invading for the most part, save for a few stragglers here and there. In a fated meeting between Lucia and Trevor Farrow, the two clashed blades. She accepted her loss respectfully and heard all he had to say about Team Midnight. Supporting their cause, Lucia agreed to give her allegiance to them if ever they needed her. Plans for the future: Do away with Team Psyche and make the world a peaceful place again. Last edited by Saint_Jimmy on Fri Mar 01, 2013 4:41 am, edited 3 times in total. I'm interested in this but I was just wondering, does it matter what region my character is from? I was thinking Hoenn. Anyways, I'll reserve this spot for an application which will get done sometime this week. Clothing Style: Mostly dark colours. Wears a black athletic jacket and dark jeans. Wears a black and silver fedora. Speech Style: Quite and fast speaking. Can be loud and clear when he wants to put the effort in. General Demeanor: Generally quiet unless he is around friends or family. He takes it personally when anyone challenges his views and rarely backs down. How he/she sees himself: He sees himself as average. He doesn't see himself as good at anything although he's starting to come around. Best Qualities: Loyal and trustworthy. Will do anything to protect his friends. Worst Qualities: Can be pessimistic and has trouble trusting people. Childhood History: Was born and raised in Mauville. His father was a member of Team Psyche. His father started training Silas early so that he could join Team Psyche. When Silas turned 15, he formally joined Team Psyche. Silas chose to use a Sandshrew and Meditite as his Pokemon. He quickly rose through the ranks, in part this own skill but mostly due to his father's influence. Recent History: On a recent mission, Silas was chosen to lead the squad. They were to take out a couple of trainers who were illegally training Pokemon. The first couple surrendered without a fight. The last, a young kid with an Electrike, put up a fight and was subsequently killed. This event made Silas seriously reconsider his life and put his and Team Psyche's actions into perspective. He felt like he was the reason the kid had died as he had been the leader. A couple days passed and he eventually decided to do something. He, along with his Sandslash, Medicham and Vibrava, broke out of the base causing massive damage to the building, receiving a gash in his calf in the process. In the process he took the young trainer's Electrike with him. Due to the recuperation, he was forced to flee Hoenn as a stow away on a ship to Kanto. He stole new clothes and headed to Saffron to hide right under Psyche's nose. Plans For the Future: Destroy Team Psyche to rest his conscious. Last edited by Dare234 on Wed Feb 27, 2013 8:45 am, edited 3 times in total. Spence had his eyes close, resting inside a cargo airship from Unova heading to his destination. He was inside the engine room, hidden and sitting behind some turning gears and gizmos in the shadows. While he left, a war was still going on in the other regions. But, he had his reasons for going back. Spence sighed, shaking his head. Even after thirty years, he still blamed himself. But he had no time to do that, he had to think and figure out his best course of action. Suddenly, there were footsteps running in, three Psyche grunts appeared with armed guns pointed to the shadows, "Hey you, reveal yourself!" Spence shuttered, he wasn't expecting himself to be found so soon. He reached out, pulling himself up as his coat dragged along the floor. "Don't move another muscle! Identify yourself!" The older Psyche member chuckled, "Are you serious? Look at him, at his eyes..."
Spence glared, only his face was truly out of the darkness. He was trying to decide on what to do in this situation. But he was curious. "This was the man we were warned about-- it's Spence." "No, you fool! You'll kill us all! You do know this place keeps the airship in the freakin' sky, right?!" "R-Right... Old man! Come out with your hands up!" Spence saw no other choice... he walked slowly towards them, the torn clothing from previous battles following him. "That's enough!" The soldier walked towards him, turning his rifle around before giving him a belt in the stomach. Grunting with pain, Spence grabbed hold of it with a smile. He pulled the gun away from him and shot one grunt in the arm, afterwards, winding the guy in front of him with his own firearm. A spray of gunfire hit around the room as Spence fled. The Psyche member growled and reached for his earphone, "We have a stowaway, extremely dangerous!" Spence ran down the halls, beating a guy trying to leave his chamber through the door. The deck was up ahead. He could hear the running of soldiers behind him. Smashing a button, a multitude of metal doors opened up to the deck. Spence walked outside, "Now what...?" He thought, a wind blowing through him. "There you are! You're not escaping this time!" Psyche soldiers rushed out, surrounding Spence outside. Some, but not all, released their pokemon in the hopes of capturing him. Spence turned around, giving a smirk, "Well, thanks for the lift." "You... what are you up to?" The previous member from before questioned, before gasping. Spence tossed a pokeball, revealing his Infernape, the fire type pokemon, "Flare Blitz! Zidane!" In a fiery state, the Infernape tackled into most of the group, a confused array of gunfire targeting almost nothing. Spence walked casually towards the edge of the deck. "No, you! Wait!" The older man turned his gun. Spence turned, placing his hands over his head. To the man's surprise, Spence let himself fall backwards, a pokeball returning Zidane at the last second. "No!" The man rushed down only to see Spence for a split second before he had disappeared. Meanwhile, Spence fought the wind as he reached for another pokeball in his coat, falling to the sea, "Come on! Come on---!! Y-Yes!!" In a brilliant array of red light formed the massive dragon pokemon, Dragonite. He had caught his master behind him and was now safe and sound. "Thanks, Baroo," he patted his head as the dragon type pokemon flew just above the water's surface, spraying behind them. Spence thought aloud, "...Strange. So, they already knew I was coming...?" Spence looked toward the horizon, Kanto just out of reach, "Well, I guess I better be careful. Let's go, Baroo!" 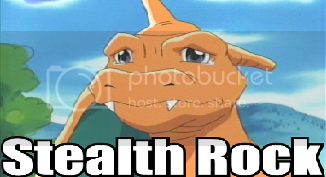 The Dragonite cried as the pokemon sped up. Kanto was not far off. Meanwhile, inside the bridge of the cargo ship, the commander phoned a certain person in a tall powerful building. It picked up and the commander answered, "It's him. He's here." "Good. I'll make the preparations." Other features: Scar in his face, runs down from eye to his chin. Clothes: Usually black t-shirt, black leather jacket and jeans. Wears black fingerless gloves and sneakers. Carries a knife and a sword in his belt. Speech style: Offensive. Sometimes he speaks too fast and it's almost impossible to understand him. General: Intelligent, often offensive and ironic, helpful in times of need, short-tempered. Sees himself: Never clear, depends on situation. Under normal circumstances, he sees himself as a really smart person. Best qualities: His high intelligence and general knowledge often help him solve hard problems. He is a good judge of situations. He would never betray his friends, and he can be very helpful when the time calls. He is very swift and agile. Worst qualities: He easily explodes in rage, especially if someone doubts him or his knowledge. He can often be very critical and ironic. Also, his confidence is unstable. One moment he might believe he can beat an army, the next that he can be beaten by a rat. Story: Bill was born in 2026, shortly after Psyche's rise in power over Hoenn. His mother and father were originally from Veilstone City, but that's the only thing that is left to Bill from them, along with two old Pokeballs. His parents died shortly after his birth, when their origins were discovered and they were accused of spying. Unti he became 12, Bill lived in an orphanage. He was always a bit of a loner, seeming to prefer the company of books, but the truth was actually deeper. Bill's heritage consisted of a Blaziken and a Garchomp, the Pokemon of his parents. At his 12th birthday, Bill was adopted by the Sabbath family, who lived in Celadon. His new parents treated him well, and his new life seemed much better than the old. There was only one problem. The Sabbaths had a daughter, Gina, same age as Bill, who seemed dedicated to ruin his life. They fought all the time, which eventually tired Bill. He didn't even dare to sent out his Pokemon and talk to them, lest Gina chose that time for another of her pranks. However, he couldn't bear his separation from his Pokemon. So one day, after he had returned from school and thought he was alone, he took out the Pokeballs. But at the same moment, Gina jumped at him from his closet. To Bill's surprise, she was fascinated by his Pokemon. Bill and Gina eventually graduated. After the ball, they returned home, chasing one another, laughing with their new freedom. Gina ran up to the doorstep and turned to face Bill. The door suddenly opened, and two arned grunts with the crest of Psyche grabbed her. Bill fought the two grunts, trying to save Gina. However, more grunts appeared and Bill had to call back Blaziken and run, as the grunts shot at him and Gina screamed. With his second chance at life ruined, his girlfriend captured and her screams ringing in his ears, Bill swore to destroy Psyche, even if he had to die in the process. That same day, he left Celadon, hunted by Psyche, haunted by memories, following rumors of a person who appeared somewhere in Kanto, bringing revolution with him. Recent history: Bill joined Spence and Midnight 4 years ago to save his girlfriend, Gina. They ended up fighting Psyche with all their might. After the Saffron incident, they followed Spence and battled for the freedom of the regions. Now, after 4 years, he is determined to finish the war and bring peace. He is now a veteran, trained in combat. Don't let Kikyo's and Zack's words get to you, Spence. Midnight isn't your imagination. We are Team Midnight. Our goals, our purpose... They are all real. And now that we know... we're ready to die for them. Plans for the future: Free the regions. Clothes: Usually black blouse with jean shorts and jacket. Wears bracelets in both wrists. Black boots. Carries a pair of long-bladed knives in her belt. General demeanor: Calm and determined. A bit sensitive to criticism. Doesn't like being doubted. Best qualities: Caring to friends, honest and dependable. Worst qualities: Sensitive to criticism, which causes her to explode in rage. Can often be very harsh in her comments to the point of rudeness. Story: Gina was the only child of a wealthy family. She lived a happy life as a child until she became 12. Then her parents adopted an orphan, Bill Jackal. Gina was mean to him in the beginning. This all changed when she realized that the cause of Bill's odd behavior was the fact that he had Pokemon. After that, they got closer and eventually started dated. At the same time, they began training. Until the age of 18, they had become decent trainers and fighters. The night of their graduation they were ambushed by Psyche soldiers who were tipped off their actions. Gina's parents were killed and she was taken captive by Psyche. She stayed imprisoned for a while until she was freed by Diseh and joined Midnight after that, using the Gardevoir her friend Lexie gave her. Recent history: Gina fought together with the rest of the team in Saffron. After the incident, she followed Spence and battled in the war of the regions. Now, four years later, she's a war veteran and a powerful trainer, determined to end strife and establish peace in the regions. Plans for the future: Bring peace to the Pokemon world. Let's make this world a better place Spence. Do you want this? If you do, then we're by your side. We'll tear apart the shadows of the past and emerge in a new light... together. Last edited by ChillBill on Thu Feb 21, 2013 9:01 am, edited 10 times in total. The crowd roared loudly through the dim lighting of the caged arena as Alex wiped the blood from his mouth. A tall, heavy set man stood only a few feet away, panting. Saffron string of underground fights was huge hit for the bottom feeders of the city. Once a week they could go down to the cage and forget about their lives above for an hour at best. Alex had gone every now and then to relieve some stress and make some money on the side while doing so. "Come on, man. These people wanted entertainment, not a massacre." Alex rose is arms in the air as the crowd screamed louder. The man opposite to him rose his fist to deliver a right hook. With a quick duck, Alex avoided the hit and delivered a hard uppercut. The man stumbled back and fell to his knee. He propped himself up with an arm and he spit blood to the floor. "Please...my family needs this money. Its my last hope." He sobbed silently before coughing up more blood. Alex sighed to himself and rushed him to the ground. He straddled over the man and grabbed him by the neck before leaning in close. "Throw the fight. Meet out back. I'll cut you half." Alex straightened his back and waited for the quick nod before slamming his fist into the ground not an inch away from the man's head. Alex stood up as the body went lifeless and flung his arms in the air. He performed his usual showboating routine. As the crowd began filtering out of the dim lit room, Alex collected his money. "You really put that guy down, huh?" Alex nodded as he counted his money. "Rumor has it, the dude's got a wife and two kids. You really are heartless sometimes." Alex looked him dead in the eyes. "Yup. So heartless, I think I'll be taking the rest of your money as well." He reached back and gripped the handle of his knife. The manager was awestruck. He froze in place with wide eyes. Alex broke the tension with a laugh. "Relax, man. I'm just messing with ya." Alex turned and walked away. "See ya next week!" The manager just rose his hand, still in shock. Alex and the heavy set man met up under a single street light. The storm was harder than usual so they spoke through raised voices. "Thank you so much. I owe you one." The man's new lack of teeth and bruised eye became much more evident in the bright light of the lamp. He turned to leave as Alex put his hand on his shoulder. "You really do. What's your name?" "Randall." The man answered confused. He hadn't known many people to get this personal. "Well, Randall. One day, I'm going to call you, and if you're not there, I'll take my money back and then some. Got it?" He nodded quickly and scribbled a phone number before the two parted ways. Alex made his way to the street as a girl flung herself onto him. Her green eyes shone brightly through the rain and her wet hair quickly stuck onto his shoulder. "Did you win big, babe?" Alex smirked and shrugged. "We've only got about half." Liv pushed him back and huffed before walking away. "This isn't a charity, Alex! We need money too. I swear, every time you get suckered by some guy 'just trying to feed his family'. We need food too, ya know...Psyche hasn't been getting as much shipment. This is our only means of cash for now. Just meet me at home..." Liv crossed her arms and walked off, leaving Alex alone with his thoughts. Psyche may not have gotten new shipment...but they sure as hell have something. Alex started to make his way to the Psyche building as thunder crashed around him. Dammit, dammit, dammit. How did I cause this? How could I leave my friend behind? Bill was sitting outside the old Underground Path. He tried hard to get Gina's screams out of his mind, but with no success. And what about his parents? They were probably caught as well, or worse... but he forced himself not to think about it. All of this was his fault. Someone must have probably spied on him and Gina while they trained. And then he decided that it would be really nice if he betrayed them. After all, he might have been in need. He would do anything to get money or food. "Over here! I can see him! Get him!" The shouts of a team of grunts brought Bill back to reality. He jumped out of his hiding spot, one hand pulling a knife, the other throwing one of the Pokeballs. "Be careful, he's got a nasty Pokemon there!" The screams of terror and pain sounded like music to Bill's ears. "These are the ones responsible. They shall pay!" He withdrew Garchomp, searched his unconscious enemies, took a gun, bullets and sandwich, and began walking towards Saffron. "If the guy who fell from the sky does exist, then Saffron is probably the place for him. The heart of enemy territory." Bill began to feel some hope "Yeah, if he exists, he 'll be there. And perhaps there are gonna be other guys to join us, too. I have to be really careful though; I'm probably wanted, and Saffron is, above all, a dangerous place." Don't worry, G! I'll save you I promise!" People lived on as normal, most of them not even aware a war was still raging across the sea... Well, soon, Spence would bring that war to them. It was risky, the wrong move and he would be recognised. Being spotted here would've been a bad idea. His face was already being shown around wanted posters everywhere. There wasn't a great many places Spence could rest easy, not to mention that whole disaster on that cargo ship started this whole mess. He needed to hide low for a little bit, and find a place to restore his pokemon from the battles they endured fighting the clones on the coast of the Kanto region, but where? A light rain sprinkled down after a sum of lightning. A few Psyche soldiers passed through the streets Spence tried to exit. Taking the wrong turn in hesitation, Spence bumped into a menacing young man with shaggy brown hair, "Do you mind where you're going?!" Spence snapped, the man replying back with piercing blue eyes. The scene, almost catching the attention of the soldiers, Spence quickly pulled the fellow inside an alleyway at the last second. Spence crashed to a wall beside him, giving a sigh of relief, "That was almost too close for comfort... Oh," he looked over to the young man, not really concerned for his feelings. Either that guy had something on his mind at the time, or Spence was just getting old and bumping into people for no reason. The man looked like he had been in some kind of fight, and looked to be a pretty tough customer, "Eh...Sorry about that. Hey, you wouldn't know the underground paths, would you? I could use a town map." Spence looked over his shoulder from the alleyway, apparenty there was some kind of ruckus with a kid using a Garchomp. The Garchamp wielding trainer sounded interesting to say the least... But nevertheless, Spence was glad he wasn't nearby that area, it would've been suicide to catch that much attention, especially here of all places. He made a habit of adjusting his hood so his face could hardly be made out. Alex reached for his blade out of instinct, but quickly dismissed the idea. The man in the long coat came across very odd, almost suspicious. Especially asking about the underground pass. Alex's eyes lit up at the idea. "Over here! Those guys at the gate need backup!" Alex flung his arm up and pressed both of them next to the wall. "A Garchomp? No wonder he needs backup. This guy's gotta be tough." The men made their way passed the alley and Alex let out a heavy sigh. "Now, about that map. I'll do you one better." Alex pulled a small phone from his pocket and hesitantly dialed for Liv. "Liv? I need you to meet me in the underground. We've got a job to do." He clicked the cheap phone shut and turned back to the hooded man. "Well, what are we waiting for?" Alex poked his head out of the alleyway and waved back that the coast was clear. That is fantastic. I was heading down there anyway. Now if anyone sticks their nose is my business, I even have a alibi. With Psyche grunt roaming the streets, the only safe way for two wanted men to travel was in the shadows hidden by their hoods. It made keeping en route terribly difficult, especially with the constant storm swirling around the city. As they reached the city gateway, Alex noticed the two armed guards in front of the doorway. Alex glanced over at the older man. "They've really upped security tonight." He cracked his knuckles and reached into his jacket pocket for a pokeball. "I'm assuming its all for you?" He laughed before motioning to the guards. "I hope you can fight." Before Spence could mention where he was going, the young man had seemingly made arrangements in mere moments. He was a bit surprised over the large generosity, but he wasn't about to say no. When they were stopped by two guards at the check point, the young man might as well had said this was a training exorcise. "Hmph," Spence smiled, open to the small challenge, "Don't take me too lightly," he reached for a pokeball, maximizing it to full strength. He didn't show it, but he was surprised this young man had a pokemon as well. Who exactly was this guy? "Go! Cyan!" he released his water type pokemon, a battle veteran Samurott. Cyan approached one of the guards, and alarm was raised, the two sending out their best pokemon. Spence let out a growl as soon as the pokemon was revealed, a cloned version of Raikou instantly letting out a roar. "Psyche can control these things?!" This wasn't good. Samurott tried not to show it, but all his pokemon were at low health, and a clone wasn't what he needed. However, the Samurott faced the challenge with full grunt. "Cyan... Alright, give it a Razor Shell!" Spence commanded. The water type rushed forward, giving the lightning pokemon a quick slash downward with its mighty horn. The pokemon lashed back with a claw before emitting sparks all around the pokemon. Cyan braced itself as Spence shuddered. "Damn it... Cyan, finish it off with Mega Horn!" The massive horn it held high above its head struck the clone pokemon, finishing it off for good, "Hydro Cannon!" Spence devastated the Raikou's master with a blast of watery firepower. After the move was used, the Samurott fell to the ground, exhausted and now unable to battle. Turning, Spence eyed the young man's battle curiously. He wondered if he was actually a pokemon trainer or not. Height and weight: 5' 9"/181 lb. Hair and eye colors: Gray eyes and midnight blue hair, which is long and sometimes hangs down over his face. Identifying features: A scar that runs diagonally across his back that may never heal. Clothing style: Maroon hooded zip-up sweater and black t-shirt and black jeans. Also has blades concealed on his person; two short swords on his thighs. Speech: Dominant voice, which is very deep and booming when ever he is speaking loudly. Demeanor: Keeps to himself, anti-social with strangers. He seems to be oblivious to his enviroment, but is actually quite aware. How he sees himself: Just some guy trying to make a living doing what he does best: hunting down and catching targets for the highest bidder. Best qualities: Silent, very strong for somebody with his size and age, gets along well with water and flying type pokemon, and with coworkers, always aware of the situation that he is in. Courageous. Worst qualities: He has clouded judgement, and sometimes acts on basic instincts alone. Highly protective, and does not like people talking behind his back, nor a potential/unknown/confirmed threat behind his back, since his scar is the point where he is most vurnerable. Despises acts of cowardice, which has gotten him into trouble with many people before. Siblings: One little sister, named Jordan. History: Growing up, Wolf had to find ways to entertain himself. At age 12, he caught a Magikarp and took it into battle. The victor laughed and stated how much a failure Wolf was. So he set out and came of age with only two pokemon. At age 18, he returned and beat the man who called him a failure. But when he didn't get the $500 he was promised, he crafted his own two devices: his Shortswords. A week later, he ran into the man in the middle of the night near the daycare center. Wolf asked for his money, the man laughed, then Wolf got furious with the scam artist. He unsheathed his blades and, with two quick movements, sealed his fate. A year later, while on a job hunting a fugitive on the Bicycle Trail for some guy in Vermillion, he was paired with a girl named Root. She was a year younger and had blonde hair and green eyes. It was also her first job, and Wolf's third. They bonded and eventually started dating. Where he is now and why: Lavendar Town, where he and Root is looking for his little sister, who apparently ranaway to live with him. Appearance: 5' 7" and 164 pounds. Wears a blue jacket, green hat, orange shirt, white pants, and black shoes. Hair and eye colors: Black messy hair and brown eyes. Face type: Tough and rigid. Other: Due to his lifestyle, he wears minimal clothing, as he has had a lot of exposure to the elements. Speech style: Rough and cocky, occasionally in broken English. Demeanor: Shifty, more or less relaxed. How he sees himself: A survivalist. Best qualities: Has a knack for predicting how people will react in situations, can preserve himself for a long time. Skilled archer. Worst qualities: Quick to judge. Jumpy, nearly paranoid. Does not trust anyone easily. Hometown: Doesn't remember, although it was somewhere in the Johto region. Childhood History: Unknown, for he was struck in the head when he was 17 and lost his memory. Recent History: Since he left his home and joined Psyche, he showed favorable characteristics. They awarded him by letting him fight on the frontlines. He suffered a severe concussion, and Psyche sent him home to deal with his injury alone. He was honorably discharged, but he failed at a lot of tasks. When he was 19, he set out into the forest around his home. For four years, he lived off the land. Then, a man came with twenty others under his command. Within one day, Krause found himself in a Night Stalker uniform. He quickly rose through the ranks, and within a couple of months, became a Veteran, then was promoted to General Commander a month later. A higher up, one day he ran into a group of three: a hooded man, a woman, and an Asian man. They were in the process of stealing a Night Stalker attack helicopter. He tried to apprehend them, but to no avail. The next day, he set out after reporting the helicopter stolen at the break of dawn, after resigning. No one has heard from him since, except someone matching his likeness running around the forests of Johto with a couple sets of knives, a bow, and a Leafeon. Plans for the future: He has no plans. Last edited by Haunted Water on Fri Mar 15, 2013 2:27 pm, edited 8 times in total. Bill checked the city gates. From his hiding spot, he could see two guards at it. Probably there were more somewhere close. He was surprised. Last time he went to Saffron, the security wasn't so tight. "There is definitely something going on." Bill murmured. "This is probably gonna prove troublesome." He weighed his options. Trying to blast through the gates probably wouldn't be so favourable. It would attract too much attention, it would bring more guards, and then he'd never be able to enter the city. On the other hand, there was the old Path. Of course, it was sealed, but Bill was pretty confident that his Pokemon were capable of bringing down the whole path. The only problem was the guards that were sent to find him. Some of them would have regained consciousness, and they would have called for backup. Bill considered his choices briefly, and then, with a groan, he got up and started running towards the path. The way seemed free. Suddenly though, Bill heard shouts. He jumped into some bushes just as two Psyche grunts appeared running from the opposite direction. "I'm telling you, I'm sure I heard someone!" "Well, there is no one here though. Probably you hear things. You're too nervous." "Yeah, hearing things! I'm telling you that I heard something. Do you think it could be our guy?" "I think it was nothing. Stop seeing this kid everywhere around you! You're pathetic!" "I'm pathetic? What about 1st squad? They said they were attacked by a Garchomp, and they certainly look like it!" "Just relax, will you? We have our Regices. We'll be fine." Dammit Bill thought. The Regice clones certainly packed a punch. They sent such things after me? Wow, I'm flattered. He waited for the soldiers to disappear before he stood up and started running again. "Hey, you! Stop right there!" Bill didn't hesitate a moment. He turned around, pulling out his Pokeballs, just as the two grunts from before threw theirs. Bill covered his face as his Blaziken appeared, fists on fire, and blocked the howling storm. Beside him, his Garchomp landed. "Alright! Blaziken, Flare Blitz! Garchomp, Stone Edge!" The Pokemon fell on the two clones like a menace, completely overpowering them. One of the Regices fell on top of its trainer, knocking him out. The other one searched in his belt for his pistol, but Bill was faster. The stolen gun shot twice, and the grunt collapsed. Still battle-thirsty, Bill turned at the door. "Blaziken, Blaze Kick! Garchomp, Shadow Claw!" The door burst into splinters. Bill called back his Pokemon. "Nice work, guys. Sorry if I exhausted you." He then entered the tunnel and started running. My Pokemon are pretty tired. I need to find a place to heal them, or they'll eventually ran out of energy. Oh, and I just shot a man. I know I had to, but still it doesn't feel better. I only hope I didn't kill him. Oh, well, nevermind. I'll feel guilty later. Now I have to exit the path before it's filled with psychos... I mean Psyches. Alex glared across to the man with the pokeball. He was excited to finally have a pokemon battle, but wasn't sure if it was anything like the battles he'd regularly taken part of. The grunt laughed across the way to him. "Come on, kid. Do you even have anything to battle me with? My pokemon's gonna get all lonely out here." In a brilliant flash of light, Entei emerged in front of them. I'd never seen one of them up close before...whatever, fight or flight, right? Alex maximized his scratched up pokeball and threw it out in front of him. A Mightyena appeared out of the light, its fur already standing on end. Upon entrance, Entei was met with a slew of vicious snarls and barks. The look of insanity in Mightyena's eyes were made evident by its feral stance. "Alright, Mightyena, maneuver delta!" The dog created a translucent clone of itself and rushed toward Entei in a rage. "I'm not dealing with this thing. Roar, Entei! Get it out of here!" Entei let out a bellowing roar that seemed completely unheard by the wild dog pokemon. Alex smirked to himself at the futile attempt. "Time to bring it home. Crunch!" Mightyena kept low to the ground and artfully made its way close enough to devastatingly clamp its jaw onto Entei's ankle. After a painful roar, Mightyena was met with a harsh stomp. Alex bit his lip in anxiety. Mightyena took a lunge and grappled its teeth onto Entei's throat pulling it down on top of itself in a harsh Double-Edge. In a flash of light, Entei was called back leaving only the whimpering Mightyena. Alex called it back and glared daggers at the grunt. "Now get out of our way or this whole conflict is about to get much worse for you." The grunt looked at both men who obviously had better things to do. "I don't get paid enough for this. Just get out of here!" Alex led the hooded man back to the gate and hastily picked the lock clean. They rushed down the stairs only to meet up with Liv. Her black hair shining a dark tint of blue in the bright light. "Ugh, where were you?" Alex dismissed her question and quickly emptied her bag, handing some medicine back to the man in the hood. "What are you doing? We don't even know this guy!" "This man potentially just saved my life! If he hadn't run into me, I would have been here alone. Were you able to snag anything?" Alex panted. Adrenaline pumping through his body. Liv sighed. "Are you kidding? The cargo bay is swarmed. I can't even get into the warehouse. All I was able to grab was a few pokeballs and most of the medicine that you JUST used." She looked at the two with a sigh. "What did you guys even do?" Before Alex could answer, footsteps could be heard coming quickly on the opposite end of the path. Alex readied himself for another conflict as a slim looking guy came running in their direction. His sneakers screeching across the tile floor. ((I must let you guys know that, if you're Americans, I might be posting while you're sleeping and vice-versa. Of course, this won't prevent me from frequent posting. Bill rushed down the path. Suddenly, when he was nearing the exit, he heard a woman's voice. The woman, who sounded angry, said something about medicine. Medicine? Perhaps they have some Potions or something! Bill ran towards the stairs, coming face to face with a shaggy-haired, dagger-wielding guy. Beside him, there was a girl and a coated man who seemed slightly older than the other two. Bill's hands automatically went to his own knives. The guy with the dagger threw himself at him. Bill blocked his attack, but he broke in sweat. I'm no much for the guy. He's as skilled with the knife as I am, but he's also too strong! He hated to bring out his Pokemon again, but he saw no other option. The guy surely didn't look like the negotiating type. The dragon appeared next to him, roaring. In front of him, the dagger guy took a step back. "You have a Pokemon, too?! Are you Team Psyche?" "Course I'm not! Do I look like them? I hate them! And what do you mean by "too"? You have a Pokemon?" The guy seemed to be considering this. "What are you doing down here?" "Running from Psyche. They want me for my Pokemon"
This time it was the older guy who spoke. "You're a trainer running from Psyche?" The dagger guy looked at him inspectively. "Are you by chance the guy with the Garchomp who stirred the guard into action?" "Well, I had to beat up some Psyche guys." Bill felt a gaze upon him. The older guy was looking at him intently, almost as if he was trying to see in his soul. He turned his eyes from the piercing gaze. "Look, I don't have time for this. The ones after me will soon be here. And, considering the fact that the Path is sealed, you guys shouldn't be here as well. So, if you don't mind, I'm off." I finally finished it haha. And Crunchy if you want just Pm me where you want me to come in at. Hair and eye colours: Short, dark brown hair with gelled short bangs. Light brown "fox eyes". Other physical features: Missing his left earlobe (not the whole ear) and a deep scar across the top of his left shoulder. Clothing style: Dark khaki cargo shorts with red and black cross trainers. Crimson T-shirt with an unzipped, light black leather jacket with a grey cloth hood. Has a katana with a red blade sheathed on his back. Speech style: Smooth and every word has a motive. Can be fairly persuasive when needed. General demeanor: Puts on a 'fake' social personality when meeting new people. This helps Trevor keep his secrets to himself and get close to others without becoming attached. His real personality is an enigma even to himself, though he knows he longs for someone he can truly relate to. How he/she sees himself: A lonely chameleon so to speak. Always changing himself to suit his environment and stay safe. Though he does follow through to the end on any real promise he makes. Best qualities: Intelligent, Trevor can always devise a plan at the last minute. Loves planning and strategizing. He can get under almost anyone's skin and get close to them. Trevor keeps all promises he makes and honors his word. An expert swordsman with a good knowledge of the human body and pressure points. Trevor is also stealthy and knows how to stay hidden. Worst qualities: Sometimes has issues determining what would be the right and wrong move to make. He can be hesitant and believes there should never be a mistake. Sometimes lies to the wrong people and isn't always trustworthy. He defines a true promise as something to "shake on". Parents: Erika Farrow (Murdered as a young child). Childhood history: Trevor was "adopted" by Psyche as a young child. His mother was Erika, leader of the Celadon gym, and one of the last Gym Leaders to fall in Kanto. Trevor was one of the many children taken from their families as children and raised under the Psyche ranks, being used as the perfect brain washed members of the evil group. He rose through the bottom ranks as a young boy, mastering hand to hand combat. Psyche saw his potential and eventually cloned him, creating Red. The two of them did everything together and even fought each other in their excerises. They were great friends until Trevor began to remember who he really was and what happened to him. He escaped from Psyche and returned to Kanto. There Trevor met several kids that had all lost a family member to Psyche. Together they formed a group of rebels called the Colors, in honor of Trevor's mother's badge. He took on the name of Crimson, representing another shade of Red, another person. The group would sabotage Psyche's missions throughout Kanto and Johto, eventually making a name for themselves. Psyche apparently was keeping tabs on the group and sent forces to deal with them. To Trevor's dismay, Red was the leader of the forces. After a long duel, Red was about to take down Crimson and take him back to Psyche. He was brainwashed again and resumed his place among the ranks. Psyche offered Trevor specialty branches in their organization and he was free to pick which branch suited him. He chose the path of assassins, though this branch specialized in infiltrating enemy lines and taking out important people. Trevor was always seen as a loyal member of Psyche and was a natural with his branch, though one day that all changed. His branch mostly had dark, poison, and ghost types; himself having a Haunter, Sableye, and Dusknoir. On one of his objectives he was sent to eliminate the owner of one of the few Pokemon reservations left in the Hoenn region. The premises was heavily guarded by rangers but they were easily taken care since Trevor's squad was disguised as a group of rangers. As they ran through the building they found the owner's safe room and he was the first one to find it. When he approached he noticed the man was only a few years older than him, as well as a baby Ralts and Eevee in his arms. The young man pleaded with Trevor to spare his life and leave his reservation. The man said the awful things that Psyche has done and what they intend to do. Trevor actually listened to the man and stood at the entrance, sword still drawn. The man looked down at his Pokemon and told Trevor that their parents were killed by Psyche's Pokemon and that he didn't want them to have the same fate. The man put the scared Pokemon in a Pokeball and handed it to Trevor. He told him that the they were now his and to take care of them after he was gone. Trevor simply nodded, something inside him felt odd, like a tingly feeling at the back of his head as he took the Pokeballs. Just then his squad barged into the room and looked at Trevor's blank face. It was one of those people that murdered the innocent young man. After that Trevor began to become his own person. Recent history: A few years after the incident Trevor broke into the records room of the military academy and hacked into the service files. He found out the truth about everything when it came to the military academy. Trevor found where Psyche had stolen him from, Celadon city in Kanto. He deserted the Psyche ranks, leaving behind the evil Pokemon that Psyche gave him and only taking his Gallade and Vaporeon. He has been on the run from Psyche in Kanto since then and has been trying to get to Celadon City to see his parents' grave. Trevor has been moving from empty house to empty house through many towns, making sure not to leave a trace of his presence. In a recent house he disturbed a sleeping Abra, and after some serious injuries was able to catch it. Plans for the future: Train his Pokemon in order to destroy the military academy and free the kidnapped people. Last edited by redt on Tue Feb 26, 2013 2:27 pm, edited 4 times in total. Hi guys. I know it's a bit late, so I will understand it if I am not accepted. Still, I want to try. Childhood history: His parents used to be members of team Aqua, as trainees, and when team Psyche was formed, they managed to advance through the ranks of the executives. They wished that their child would have the best possible - fight for team Psyche. Young James was born and raised with Psyche being his only ideal. He believed that nothing matters if you follow the will of the Team. His parents encouraged this way of thinking by worshiping team Psyche as a god and making it look perfect in any way. So it is quite logical that, when the boy became 15, he was entered in team Psyche, as a trainee in the Offensive Military Unit. The Pokemon he chose were an Axew and an Absol. James met some friends there, but his closest friend was Kane. They were talking, eating, training and having fun together at all times. James even asked his parents to put them together in practice class, where they he and Kane witnessed Axew evolving. His parents were really glad of his achievents in school. What they didn't know was that James, by watching the relationship between him and other people, had improved a genuine, strong sense of justice. 'Why? What will you do, big guy?' mocked him the liteunant. The ice beam flew, but was stopped by a blinding light. Glalie was defeated and James took Haxorus and fled. They jumped out of the window, which caused James the scar, and run away to Saffron to find the outlaws. "How are we going to get through?" Silas asked out loud as he settled back into the shadows. "The Psyche soldiers are hyped up about something. I don't like that." "Med." His cloaked companion responded with a shrug. "Fury, you're no help." Silas replied to the Medicham. He slapped his fedora against his thigh in frustration. He looked up to see the guards let loose a Raikou. Silas started backing up ready to run, unwilling to fight at this point. He started grinning when he saw a Samurott advance on the Raikou and guards. "How about that Fury? This is our ticket out." Silas said as he watched the Samurott took out the Raikou and its trainer. A Mightyena took out the other guard's Entei and scared them off. The two attackers moved up to the gate and easily got through. "Let's go Fury." Silas and the Medicham ran across quickly and went through. Silas immediately moved to the side realizing that they hadn't gone very far through, pulling Fury with him. "Cloak." The Medicham removed her cloak and Silas stuffed it into his backpack. "We may have a fight. Psyche isn't going to leave them alone, not to mention the fact that they obviously know what they are doing." Silas said grimly, pulling out Spike's pokeball. ((Samurott, sorry I should've made myself more clear in that sentence and butchered it; you had hardly ANY worse qualities. If you fix that up you can join. Everyone; basically, when you make the profile for your character, naturally you want your character to be awesome, but think, he's only human, right? Humans make mistakes, they have flaws, quirks. I admittedly didn't have that many as well, and the worse qualities more or less looked like GOOD qualities (becoming mad enough that no one can stop him, for example). So I went back. If no one has yet, the best example not to become a Mary Sue is here http://www.psypokes.com/forums/viewtopic.php?f=23&t=2649. ChillBill, since you said you haven't roleplayed before, please do check out the link above. In roleplaying you can't control another roleplayer's character's actions. But I'll let it slide this time. I live an Australia so it's the same for me, I'm asleep when everyone's awake usually. "Fair enough..." the tired man leaned back up and to stand from his earlier position of the floor, "In any case, that kid's right. We have to hurry and escape this place." Escape the underground, and find a place to sleep was his objective. He hadn't found peace or rest since the cargo ship. Spence walked over and shook the young man who had helped him by the hand, "Thank you for all that you have done, I'll pay you back someday. And look after that Mightyena, you've got promise to become a true pokemon trainer," he smiled. Spence turned and bowed his head towards Liv, "I'm sorry for endangering you both, and for taking your supplies. If they were only for me I wouldn't have accepted them." Spence turned, looking down the dark underground path, "This way leads to Lavender Town, right? But that kid said it was sealed..." Spence crossed his arms, thinking back on the region and its history, "But that doesn't sound right. When Kanto was invaded, there were multiple tunnels that were made underground, right? I'm sure if I go down further I'll find the right path. If not, I will make a new one." "You're all welcome to come hide out with me until things settle down a bit in Saffron." Spence turned, walking down the gloomy path. It didn't look like it was used regularly, although it was mainly used by trainers back in 2012. It was getting dark, so Spence released his Infernape, its flamey tail leading the way. They eventually met the sealed gate. Bolted, chained and sealed tightly shut with cement. It would've taken more than lock picking to get through this one... Spence motioned everyone to get back. "Zidane, use Flamethrower!" The plume of red hot fire blasted the door. It wouldn't have been enough, but it was a start. Spence had another idea. "Thanks, that's enough," Spence made sure to retreat his pokemon behind him, before reaching for his gigantic blade behind him. The last attack had turned whatever was metal to a glowing red. Spence blew in a cool breath of fresh air. Using all his might, he had slashed down, breaking and destroying the chains to the door. Spence took a step back, "Zidane, Close Combat!" The large door burst from the cement hinges and flung open. Spence returned the Infernape to its pokeball and sheathed his sword. He proceeded down further. The east route must have been above them, Lavender Town had to be close. Inside an abandoned house in the middle of the day, a man named Trevor Farrow rested. From the shadows of the room, a seemingly ghost figure of a young girl, who must have only been around the age of ten, walked up to him, "So, you must be the ex-assassin who left... We have a job for you..." she smiled. Her voice was sweet and she appeared to sound like an ordinary little girl, however, her words were completely opposite of that, "Only after this mission will we decide whether your betrayal shouldn't be answered with the death penalty." "If you do this one thing for us, we will let you go. You were a valuable weapon at one point... We don't see why we should be cruel to someone who killed so many for us without question. Think of it as a favour between friends." "Well, I have good news and bad news." Root said. Wolf looked over to the doorway where she was. "I'm waiting." "Good news is I found your sister." "Bad news is... Those Team Psyche morons have her in their custody by the Underground Path's Entrance." Wolf slammed his fist down on the table. "Why would they do such a thing as tempt me? I've done nothing wrong, nothing bad to them." Root thought for a moment. "They could've found out who murdered that poor fellow outside of Cerulean about five years ago." "He was a coward. Besides, they closed the case." With that, Wolf picked up his swords and his pokeballs and brushed past Root. "Where are you going?" "Where do you think?" Root smiled. "I'll get my things." "Four of them. They must've found out." Root teased. "No, because two of them just answered their comm devices and ran into Saffron. Something is happening. Whatever it is, I don't care." Wolf rose and started walking towards the two grunts. "So who is the dumb one who thought to kidnap my litte sister was the best option to get me to comply with Psyche?" Wolf shouted at the grunts. "Oh my god, you're going to get yourself captured or killed." Root said to herself. James hurried away from the training center. 'Go absol! OK absol run!' James headed to Saffron to find the Rebells. His Xtranceiver ringed. 'We need help at saffron gate! Guys have extremally strong pokemon! Bring in reinforcements!' I need to find these guys. They can help me in my cause. Bill stood where he was, looking at the other three gathering their staff and leave, going deeper in the paths. So what did those people want? The younger two were probably together or at least knowing each other. And judging from the medicine and weapons they were probably thieves or outlaws. They could have the Path as a sort of a hideout. But what about the other guy? He didn't look as if he was familiar with any of the other two. So what could he be doing with them? Getting medicine, obviously. But why did the other two help him? Why would they give their valuable medicine to a complete stranger? Also, what was that thing the older guy had on his back? Could it really have been a sword? What kind of guy goes around with a sword as big as him? There was definitely something weird with that group. But he had better things to do right now. There were Psyches on his tracks right now. A thought crept up at him. What if he stuck to those guys for some safety? They were definitely capable of taking care of themselves. And they had medicine, which he could really do with right now. But on the other hand, could he trust them? No, it was too dangerous. He just had to exit the path and disappear somewhere in the woods. He would think of his next move there. ((I'll catch up with you guys in Lavender. I'll find a reason to go there. James entered the undergrond path and hurried to it's center, in order to go to Lavender. But then he remembered that the issues had happened at the north gate. Someone from inside Saffron must have left the city and entered the underground from there. But no one would go to Vermilion or Celadon. And they couldn't have gone to Cerulean bacause the underground didn't reach that point. So the only option was Lavender. But then why was the gate open? James came to a conclusion right when he heard 'Hold it right there, private Black! Put your hands behind your head!' James obeyed and then stealthily reached for his backpack. He turned around and saw a Zapdos watching him. As the team Psych member closed the distance, James tossed the handcuffs at him. The guard was momentarily distracted and James took his chance. 'Haxorus, use rock slide! Absol, use night slash!' Zapdos collapsed, alpng with a part of the ceiling. 'This road is closed for now.' James quickly turned around and headed for Lavender.